In Wrist Watch — our monthly column dedicated to watches in the wild and those who wear them — resident horology enthusiast Randy Lai highlights key finds each exhibiting some aspect of excellence (e.g., craft, collectability, cultural significance). 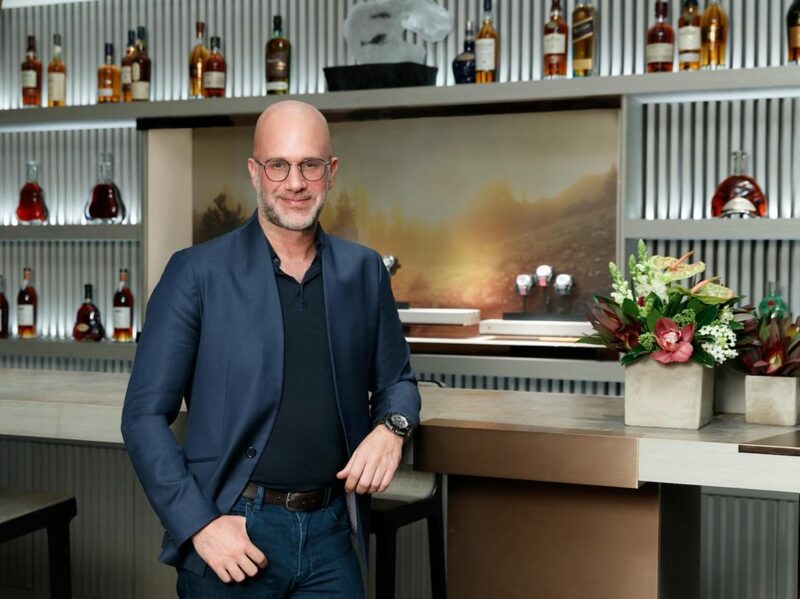 This month, he took a break from scouting multiple collectors to attend the Hong Kong offices of Audemars Piguet — all for a chat with the brand’s historian-in-chief, Michael Friedman. Few people know and appreciate Audemars Piguet like Michael Friedman. 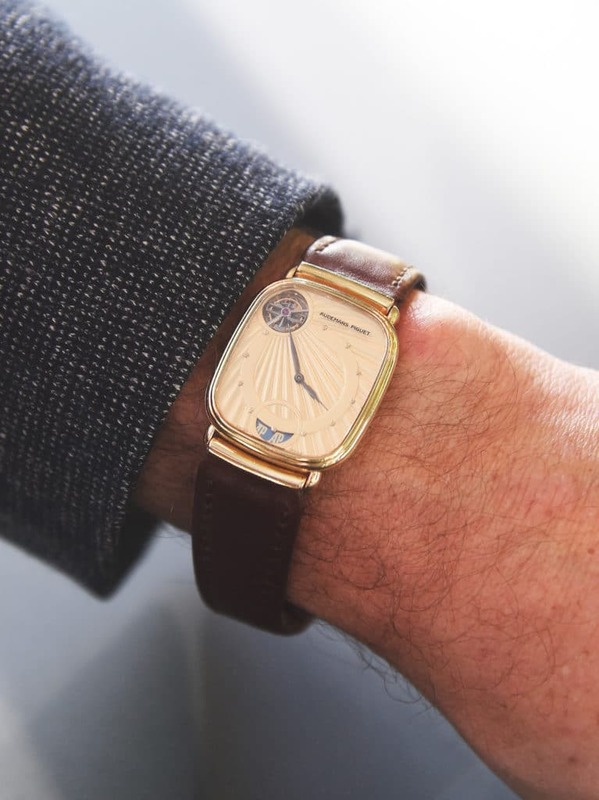 The chief historian since 2013 — an appointment which he accepted after nearly half a decade in Christie’s New York office — Friedman oversees all aspects of the Le Brassus manufacture‘s leviathan heritage program. 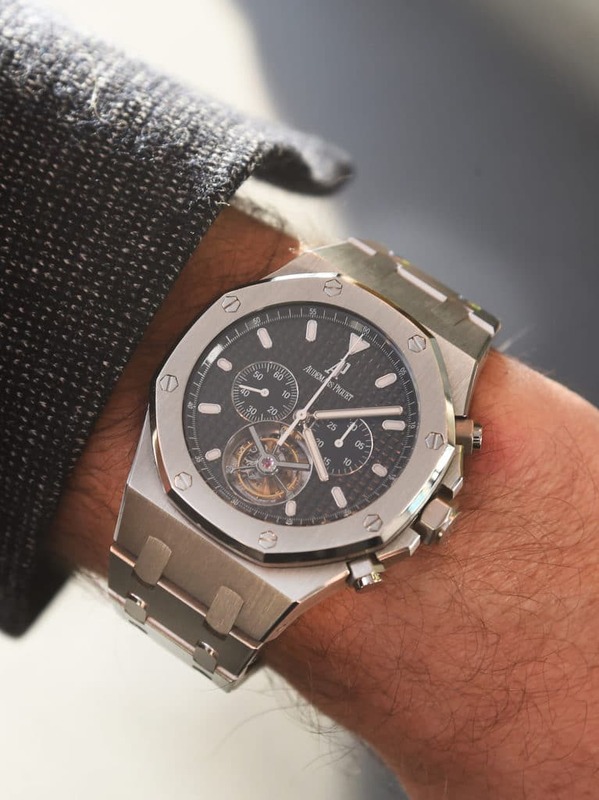 Although chiefly responsible for acquiring rare Audemars Piguet timepieces from auction houses and eminent collectors, he spends a roughly equivalent amount of time globetrotting, lecturing the brand’s widespread clientele on various popular topics (e.g., product launches and design history) connected with the world of AP. 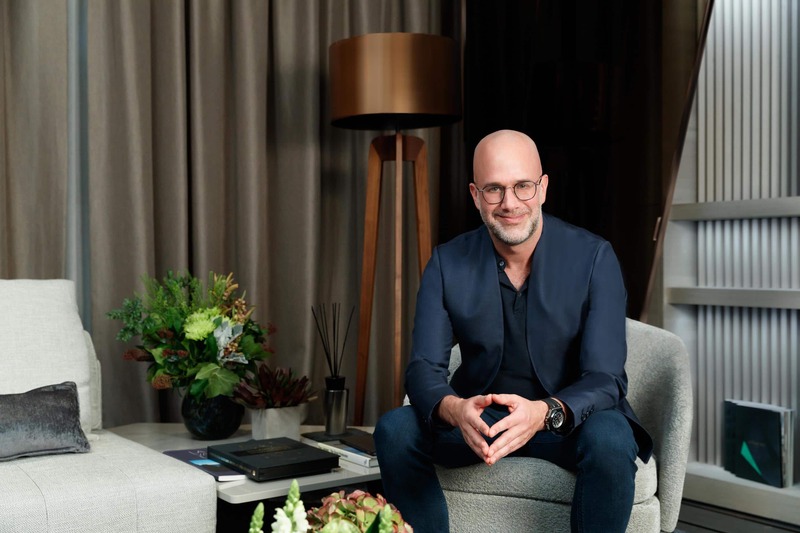 Well known for his tenure as Head of Watches at Christie’s (New York), Friedman has over two decades of experience in the world of fine horology. 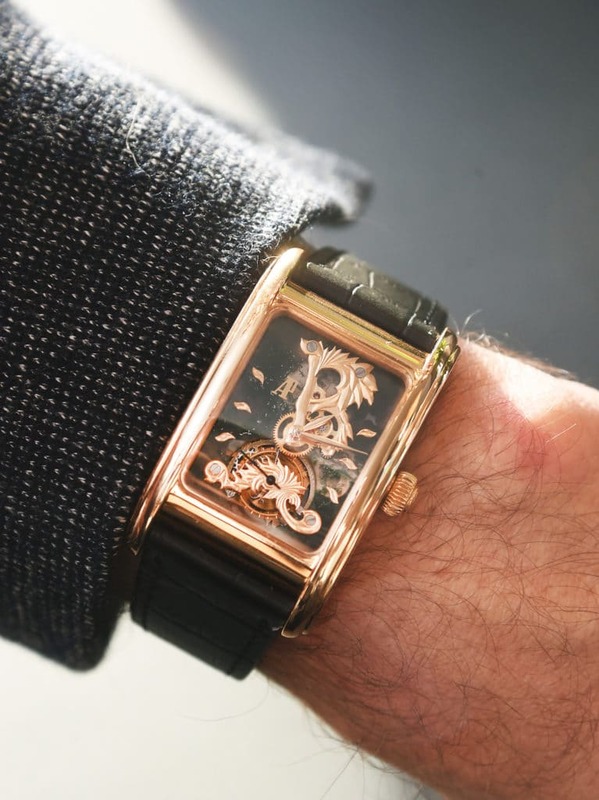 Earlier this month, I managed to catch Friedman on one such occasion, mere hours before a dinner he was scheduled to chair for the brand’s Hong Kong VIPs, dedicated to that most divisive of horological mechanisms — the tourbillon. “Given their original purpose, to enhance the accuracy of clocks which were being used to measure time, most tourbillons appeared either in a scientific or technological context”, says Friedman. “Audemars Piguet changed all of this in 1986 when they introduced the world’s very first self-winding tourbillon wristwatch”. Naturally, when Friedman nonchalantly disclosed that he’d brought said 1986 tourbillon to Hong Kong, I couldn’t resist the opportunity to see it in the metal (alongside an assortment of other rare and exceptional pieces sporting the eponymous complication). What followed was a sit-down that exceeded all of my expectations, complete with anecdotes from Friedman himself, as you’re about to see below. This is the earliest example, in the entire watchmaking industry, of an automatic tourbillon. More importantly, it’s the first time that said complication is visible on the dial side. That was a crucial design choice: taking functional technology and making it part of a watch’s aesthetic. 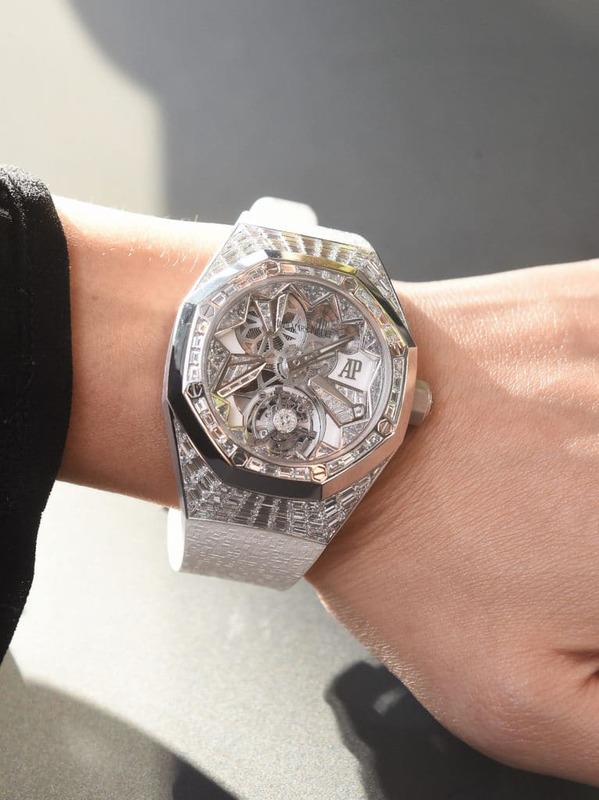 The designer of this particular tourbillon was Jacqueline Dimier — she’d worked under Gerald Genta and is arguably more important to the history of Audemars Piguet than the latter himself. 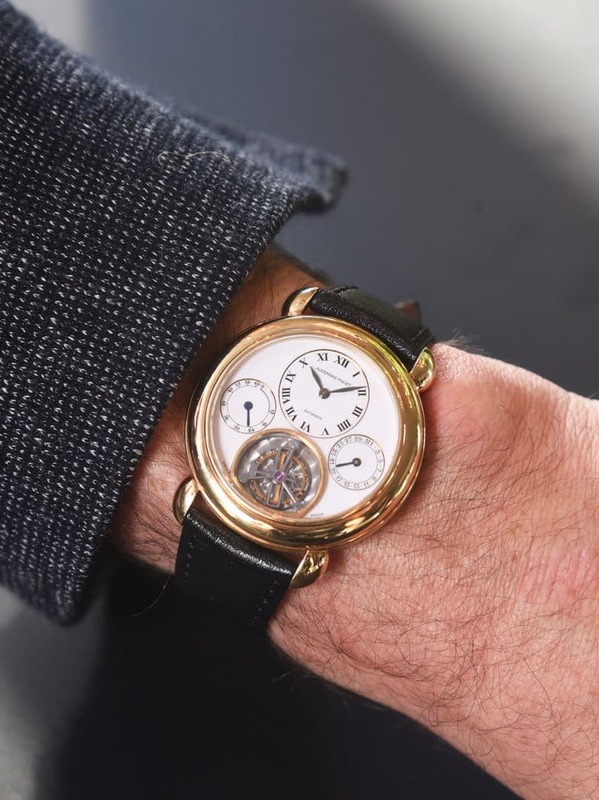 It was also the first such watch to be produced in series wherein the tourbillon is visible on the dial side and utilises a self-winding mechanism (courtesy of the calibre 2570) — it held the record for world’s thinnest tourbillon at the time. In 1993, for this second generation of Audemars Piguet tourbillon, the calibre was upgraded to a 2875, so as to produce a watch that was a little bit more durable. (The first tourbillons were very fragile watches.) Fortunately, by 1993 the Royal Oak Offshore had been released, so the Audemars Piguet identity was beginning to become associated with not just elegant dress watches, but those which could accommodate the turbulence of modern life. In other words: the daily shock a watch might be exposed to. The second generation of tourbillons were made to be larger, more substantial and more shock-resistant. Additionally, we begin to start seeing other elements: the “Generation 2” included a date in addition to a power reserve. However, like the first generation it is still a “backwound” watch (i.e. the crown is on the caseback), so both the first and second generation give quite an overly streamlined impression. That was a conscious effort on the part of Jacqueline Dimier and her watchmakers. By 2002, Audemars Piguet had already started including the tourbillon mechanism on the Royal Oak watches. This example has the classic stainless steel case and tapisserie dial, but these are also combined with a chronograph as well as a seconds hand. So we’ve now included the chronograph as part of a much larger overall watch, in terms of size and aesthetic. It continues the trend which began in 1993: the creation of a tourbillon that was rugged and which could stand up to daily use. Those are qualities that our clientele had already come to expect of our watches at this time in history. The model 25977 was produced in extremely limited numbers — as is the case today — and marks the first time we executed the tourbillon with an open sapphire caseback. The complication and movement are both visible: On the front you’ve got the tourbillon, and on the back you can see all that high-level movement finishing, especially on the column wheel for the chronograph. In 2005, we released one of the most creative and unusual wristwatches that had ever been produced up until that point. This was part of the Edward Piguet collection, our range of rectangular watches; and this particular piece used a rather interesting material called moss agate — immediately visible in the primary plate. Moss agate is a naturally occurring material. As such, its growth patterns give each the internals of each Edward Piguet tourbillon a unique aesthetic. Actually, when you hold this watch up to the light not only can you see the movement and the tourbillon, but you can also see that moss agate in all of its decorative detail. It creates a kind of biosphere, a little environment within the watch itself. This is extremely esoteric — even eccentric insofar as watchmaking goes. This is a special piece within the history of Audemars Piguet tourbillon watches which also deploys additional gold details, applied over the bridges in between the movement and sapphire crystal to give another layer of depth. This year, we created our very first Concept release for women. This is a much smaller-sized Concept compared to previous years, but like every watch in that range, it had to have something new and innovative. So, this was the first time we’ve incorporated a flying tourbillon on a women’s watch that happens to be decorated with a total of 209 brilliant and baguette-cut diamonds. The entire aesthetic is calculated to evoke the harsh winters in the Vallée de Joux (Le Brassus). There’s a snowflake motif on the casefront, it’s openworked so you can see so much of the detail, and even the barrel for the spring has been cut away in a snowflake motif. When you turn the watch over, you’ll see the bridges have been decorated with a beautiful white finish to evoke the imagery of ice shards, so it’s a strong geometric theme. Like all Concept watches, this was designed to be looked and enjoyed from all angles. Watches are objects of permanence, and at Audemars Piguet we take that conceit very seriously. I think this is the kind of jewellery watch which will not just be relevant today, but for future generations.